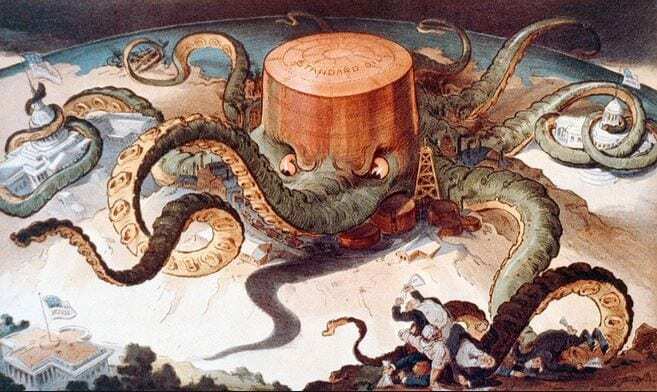 The peak oil nonsense probably started 216 years ago, when Thomas Malthus created the concept that Mankind’s appetite for natural resources would outstrip nature’s ability to supply them. Over the years, one naysayer after another has warned that we are running out of one resource or another only to be suddenly proven wrong. This broken record has played forever and yet the powers that be use it all the time because it works. Like sheep, the masses react, and these big shadowy players walk with a shipload of profits. The same holds true for the peak oil scam. If the Peak Oil theory scam artists were telling the truth, oil prices should be north of $140 years ago. Instead after peaking at roughly 150, they have been tumbling downwards, and the only term one can use to describe such action is a “crash’. 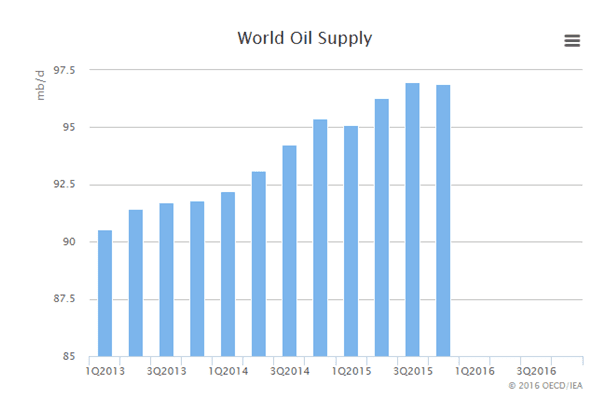 If oil was supposed to be in such short supply, why is the world awash in oil and why have prices dropped so much? The answer is that peak oil is nothing but a scam that was designed to create the bedrock for higher prices. They had to create some crap that the masses would buy into, and peak oil was the perfect ploy for this game. Crude oil is not even a fossil fuel; anyone with a biology or chemistry background that bothers to use their brain will understand that calling crude oil a fossil fuel is like stating coloured water is wine. The chart from the IEA clearly exposes this scam. Take a look world supplies have been increasing over the years instead of decreasing. 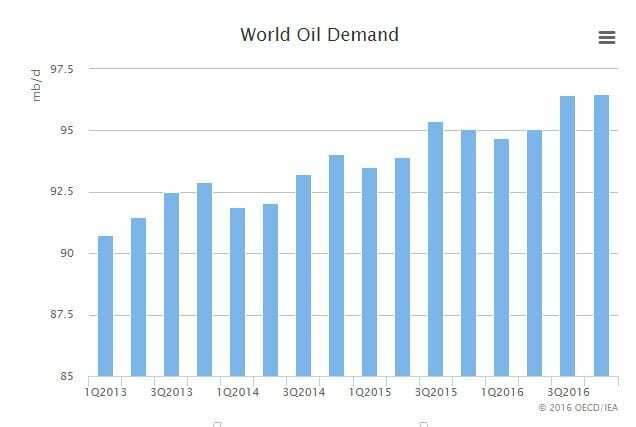 Oil demand for 2016 is expected to remain almost unchanged from 2015. In 2015, it stood at 96.43 million barrels per day (Mb/d) and in 2016, it is expected to be 96.49 Mb/d. IEA expects supplies to drop from 96.97 Mb/d to 96.88 Mb/d; the IEA is notorious for missing its projections. The current projections do not factor in the new supply of Iranian oil set to hit the markets. Additionally, Russia has stated that they have no intention of cutting down oil supplies and the same holds true for Saudi. Hubbert, one of the loudest voices behind the Peak Oil scam theory, predicted that the world’s peak oil production would occur in 1995. It turns out he was wrong as hell. If you had listened to him and gone long oil, you would have been bankrupted several times over. Oil dropped to almost $10 before it took off and then crashed again. If he or any of the jackasses were correct oil would have been trending upwards forever. In today’s dollars oil should be trading north of $200, based on their predictions. Don’t fall for these end of the world ploy’s as they are just setups created by the rich to fleece the masses. However, you can use this information to your advantage. Mass psychology states that you should get into any trend at the early stage even if it appears to be a crazy one. If the trend is valid, then that market will soar. However, you need to know when to get out; to do this you need to understand what position the masses are taking. When the Masses are euphoric, it is time to flee; this has held true for every investment that was ever created, from the Tulip Mania to the Housing bubble.